Cozy Pet Sitting is the premier professional pet sitting service in Macomb County and surrounding areas. We offer highly experienced professional dog sitters and cat sitters, competitive pet sitting prices, and options to fit your beloved pet’s unique needs. Our professional pet sitters understand how important it is for you to have peace of mind during your upcoming trip. That’s why we spend our meet and greet sessions getting to know you and your dog, cat or other pet, so we can be prepared to meet their unique needs while you’re out of town. Scheduling a pet sitter is probably much easier than you think. Professional pet sitting services in Michigan can be customized to accommodate your unique schedule and needs. To keep your stress low, we recommend scheduling at least 2-3 weeks in advance of your trip. There’s no need to stress that your pet will have to deal with unfamiliar or stressful environments when you hire a pet sitter. With an experienced professional meeting your pet’s every need in the comfort of your own home; you can relax and know that everything is taken care of. Ready to get started? Schedule your complimentary Meet and Greet today! Why choose Cozy Pet sitting over boarding at the kennel? Your dog, cat, or other pet can continue to live normally in the comfort and privacy of their own home, without the environmental stressors often associated with boarding pets at kennels. Professional pet sitters are seasoned experts, who know how to cater to the unique personalities, preferences, and even health needs of pets. Dog and Cat sitters are prepared to provide your pets with all the attention they need to thrive and feel loved while you’re away. With the help of a professional pet sitter, you won’t have to worry about transporting your pet or exposure to new environments. A screened, experienced, and professional pet sitter can provide convenient overnight care for your pets. This option can provide peace of mind and assurance for busy travelers who have pets with unique needs, or other situations where frequent care and attention will enhance the pet’s well-being. 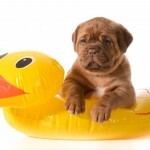 Cozy Pet Sitting proudly offers multiple options to meet the needs of busy Michigan pet owners. Our services can be offered in the comfort and privacy of your own home, or at ours. Either way, your animals will benefit from a low-stress home environment, customized attention, and plenty of love and affection while you’re out of town. Conscientious pet owners are increasingly turning to dog and cat sitting as an option for both short trips and extended stays away from home. A highly-trained, professional dog and cat sitter understands a wide array of pet personalities and needs, can respond adequately to emergencies, and is a reliable source for top-of-the-line animal care. and get 10% off your first visit!